The Gate City and the Motor City enjoy some similarities in terms of history and architecture. Today, the Gate City might benefit from a few lessons to learn from Detroit as it reinvents itself using its Twentieth-century industrial heritage. The Motor City is legendary as a manufacturing center. In the 1890s the city was known as the “Stove capital of the World” and the city quickly diversified its industrial base into ship building, cigars and tobacco, pharmaceuticals, beer, rail cars, and foundry and machine shop products. Automobile manufacturing began around 1900 and fueled population growth that saw Detroit ranked as the fourth largest in the country by 1950. At the same time, Greensboro earned a reputation as a manufacturing center. By 1958, Greensboro was described in superlative terms – such as “North Carolina’s leading city in retail sales and retail sales gains,” and as having “more college students that any city in North Carolina and perhaps the Southeast.” New residences were being erected in the Gate City at the rate of 1,000 per year. Driving this growth was industry, and Greensboro was an industrial powerhouse in the mid-Twentieth century. “Among the world’s largest producers of their respective products” reported in the book “A New Geography of North Carolina, “are Cone Mills Corporation, denim; Blue Bell, Inc., work and play clothes; George C. Brown & Company, cedar products; Burlington Mills Corporation, hosiery and textiles; and Wysong & Miles, sheet metal working machines.” Greensboro was the home of P. Lorillard Company and their “Most Modern Cigarette Factory in the World”. By 1960, Greensboro grew to the position of second largest city in North Carolina. In the 1980s, manufacturing jobs began to diminish as globalization opened cheaper labor markets. Detroit and Greensboro both saw employment bases shift from lucrative labor to lower wage service fields. By 1990 the Motor City had fallen to 7th in size nationally, and the Gate City lost its second-place position in the state to Raleigh. Although both cities witnessed varying degrees of urban blight during their transition, they have met these challenges with innovation and creativity. Greensboro has leveraged its colleges and universities on which to base rejuvenation, but what can the Gate City learn from the Motor City? Greensboro has done well over the past 30 years with locally financed preservation initiatives that have resulted in exemplary preservation investments in structures lining Elm Street and scattered within our three historic districts. However, the scope and scale of historic preservation needs in Greensboro sometimes exceed the skill and breadth of local investors. Large-scale corporate preservation saved the Revolution Mill, Proximity Printworks, and the Mock, Judson, Voehringer Company Hosiery Mill, but we struggle to address large-scale threatened landmarks such as Adamsleigh and the Pilot Life Campus that are beyond the capacity of local developers. Detroit has seen similar challenges, with “white elephant” projects such as the Wayne County Courthouse, the Fisher Building, and the Michigan Central Station. The city has received large scale investment through historic preservation made possible by investment by Bedrock Detroit, real estate investment firm that specializes in commercial and residential space. 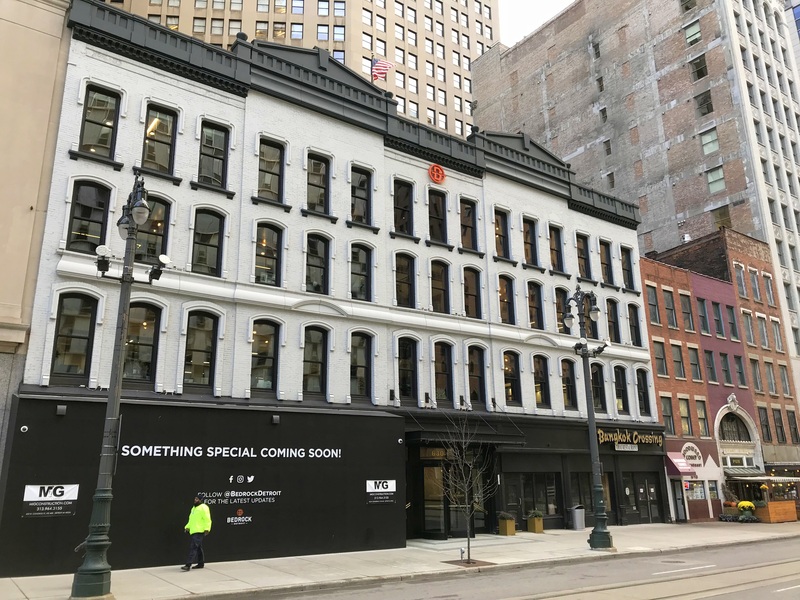 Since its founding in 2011, Bedrock and its affiliates have invested more than $3.5 billion in developing properties in downtown Detroit, many of which are historic structures. Bedrock has taken the challenge to restore previously abandoned properties and made investments that leverage historic tax credits to ensure that work is done to preservation standards. Similar large-scale investment could lead investment dollars to fund challenging preservation projects in and around Greensboro. Detroit has leveraged its “can-do” manufacturing heritage to create local product lines, artisan skills, and retail outlets. Made in Detroit is such a product line that was initiated in 1991 as a spark in the movement to promote locally-made goods. Today the company produces apparel, drinkware, accessories, and promotional gear. A retail initiative, Pure Detroit has promoted local products since 1998. The company also has a brand of apparel and sells locally made artisan goods and gifts. This idea is not new in Greensboro, home to apparel, footwear, and accessory manufacturers such as Hudson’s Hill, Mindful Supply Co., and Home State. However, Greensboro has opportunities to grow traditional manufacturing to additional products and services. Pure Detroit has opened a furniture showroom of products made from salvaged timber. 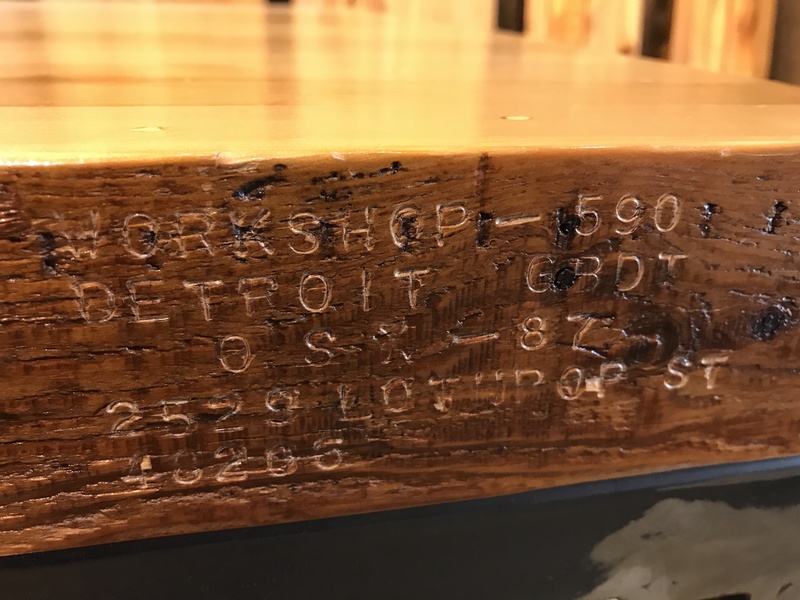 In fact, makers brand each piece of furniture with the coordinates and location of the original location of the wood used in the piece. 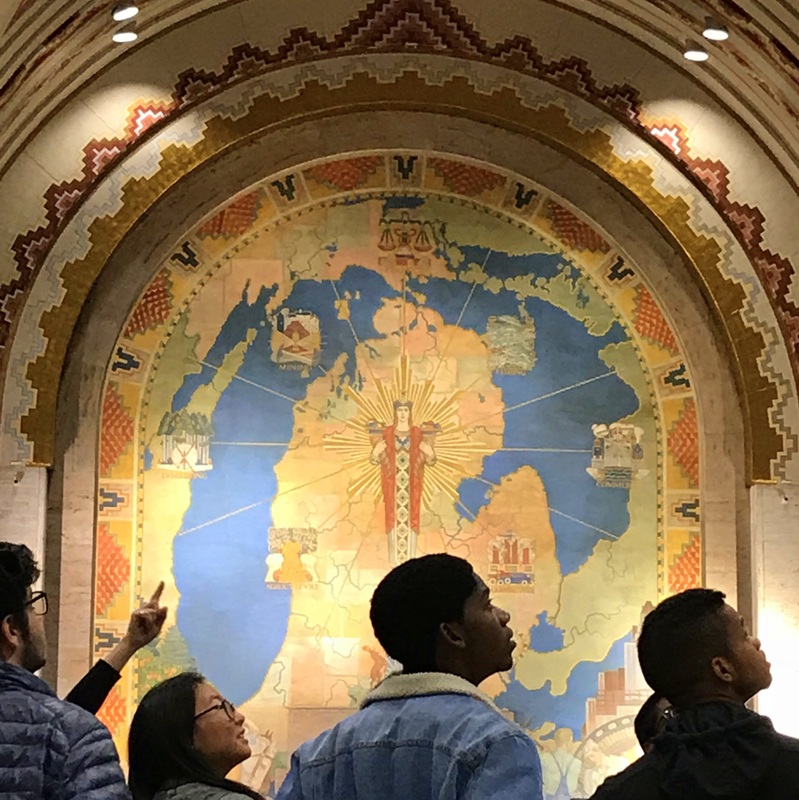 Other creative examples include Harvey’s Seatbelt that reuses materials to make handbags, and the historic Pewabic Tile Company creates artistic tile for accessories and construction projects across the country. Brick + Beam Detroit is a program that assists Detroit homeowners develop skillsets to preserve their historic homes. With a grant from a local foundation of $150,000, staffers formulate a wide-ranging education program to instruct proper procedures in masonry, painting, carpentry, window glazing, and roof repair. For professional training needs, the Michigan Historic Preservation Network has initiated the Living Trades Academy. The program is a hands-on ten-week job training program in preservation trades that allow participants to mentor others in home repair and maintenance, and to acquire business and entrepreneurship skills to enter the workforce as a preservation professional. With guidance and supervision of professional preservation craftspeople, Living Trades participants learn basic knowledge in several preservation trades, including traditional and modern building materials as well as the useful tools and techniques. Students earn a program certificate and are encouraged to enter the field of historic preservation subcontracting for projects requiring their specialized skills. Preservationists in the Motor City are working on a scale much greater than that seen in the Gate City. However, there are many useful initiatives and creative enterprises in action in Detroit that can provide inspiration for the next level of historic preservation in Greensboro. 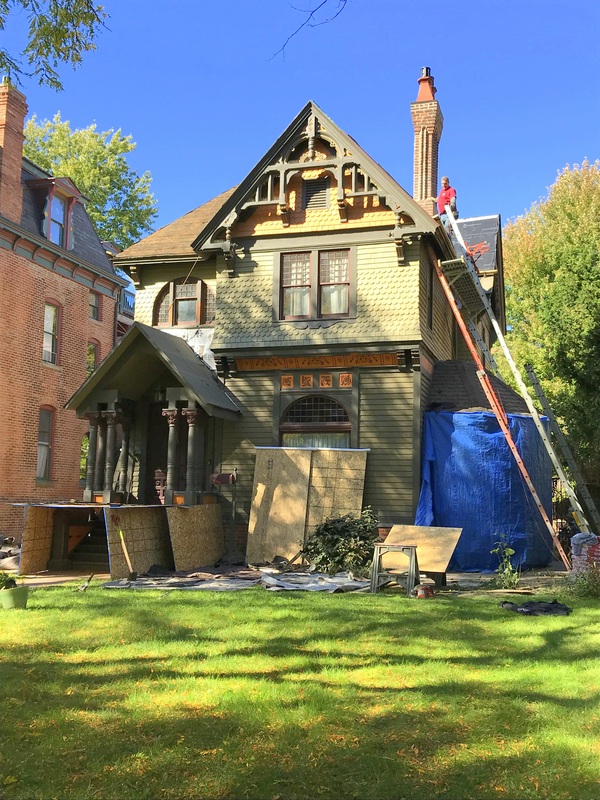 Preservation Greensboro is partnering with Studio Traveler and Christman Contractors to see these preservation activities in Detroit in action. The extended weekend tour will include visits to major preservation redevelopment sites, retail and craft shops, and tours of historic neighborhoods where rehabilitation is turning abandoned streets into vibrant communities. For more information on our Detroit tour scheduled for June 2019, please visit Studio Traveler.